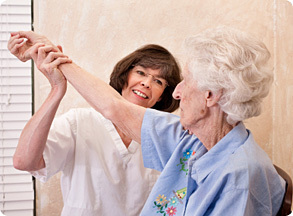 To learn more about our Rehabilitation Services, please contact us at (609) 924-9000. Our rehabilitation team consists of three different therapy disciplines: Physical Therapy, Occupational Therapy, and Speech Therapy. We treat our residents in a home environment to ensure they receive the utmost quality of care and regain their independence.